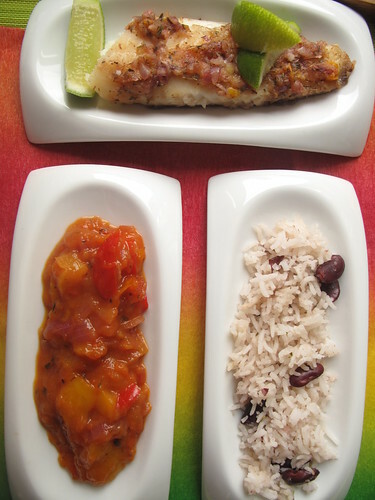 Jamaican Jerk Fish, Creole sauce and…. I love Jamaica. 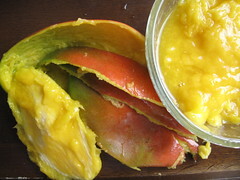 Though I’ve never been, I’ve felt kinship with people from the Caribbean most of my life. Good thing that will be remedied soon….with a trip…..
… there….via my food offering this week! This week, we’re in Jamaica on our Culinary Tour 2010, hosted by Joan of Foodalogue. On the menu? 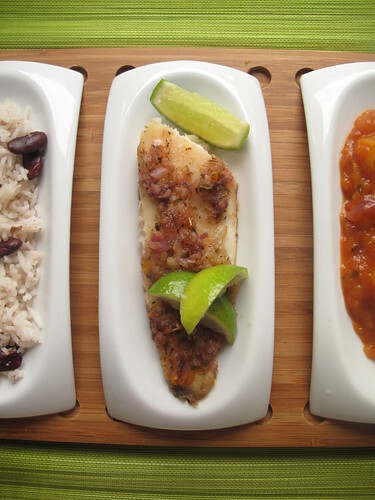 A traditional Jamaican meal: Jerk fish, Rice n Peas and Creole sauce. 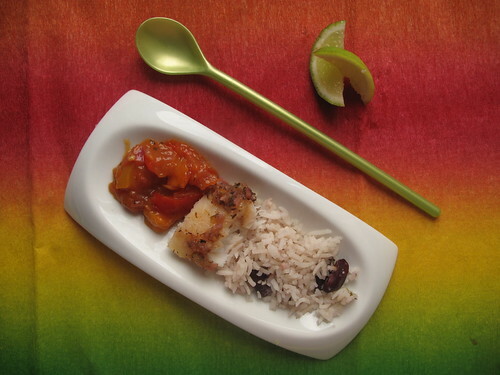 It’s no surprise to me that Nigerians and Jamaicans share similar tastes and cooking styles….as do most tropical countries. 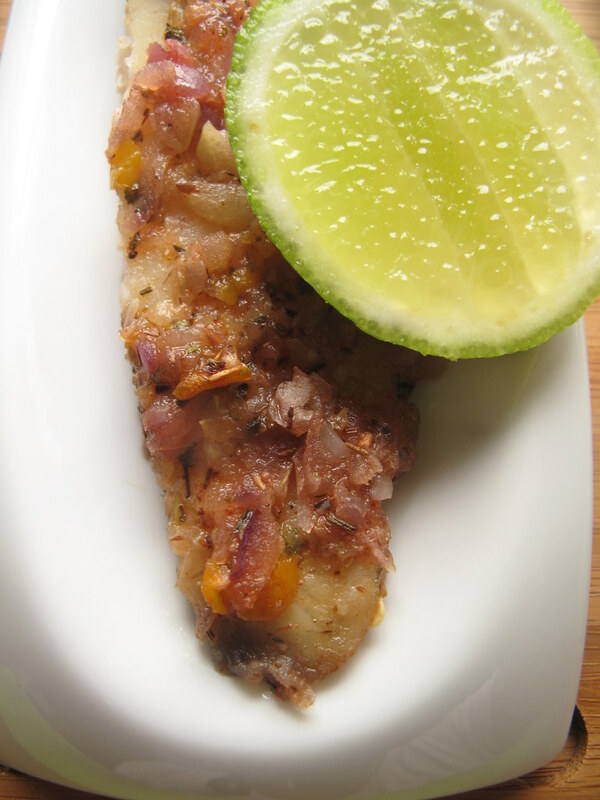 The fact as well, that both countries have some coastal stretches places seafood prominently on the menus. 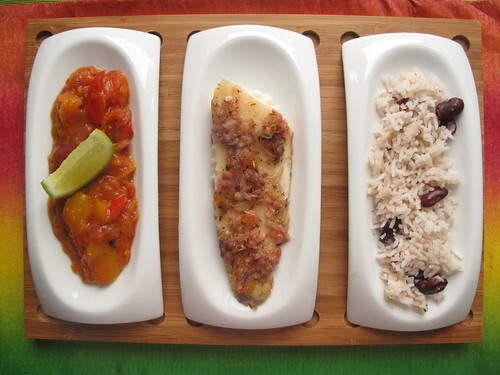 In Nigeria, Tilapia is one of the more common fish, along with snapper and catfish. It is always sold whole and fresh in the markets – fish mongers are not common in the sense we know them in the West. Women, mothers, grandmothers sit about in the open markets, huge basins by their side – full of water, and fish. Fresh fish. Just caught. Fish fillets don’t feature at these stalls. For that you’ll need to head to the ‘western’ supermarkets, where you’ll get frozen equivalents which may have travelled miles! 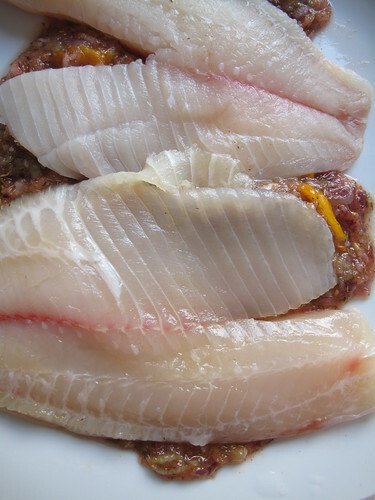 Which is how come I learnt way back in Nigeria, via Google, to fillet my own fish. But not these ones I’m cooking today though. Those came from a pack. From Sligro! 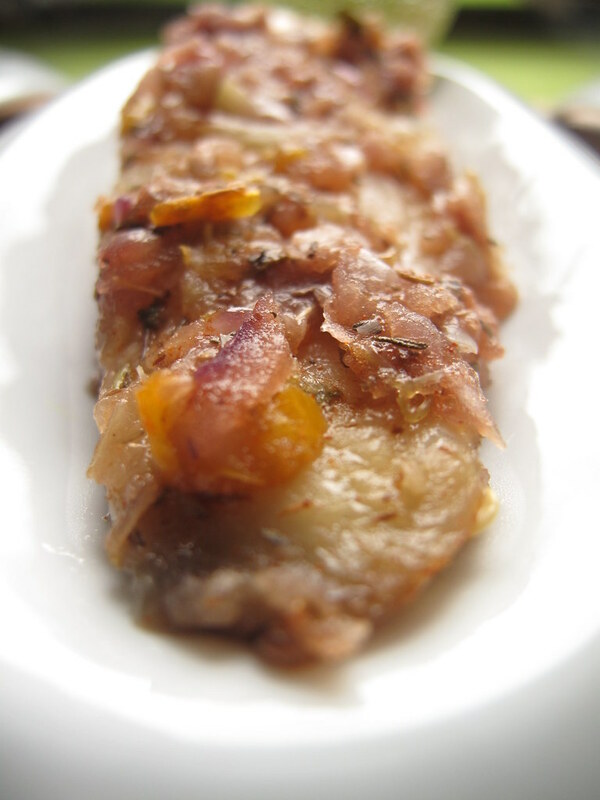 Traditional – recreate the country’s national dish or any other traditional dish. 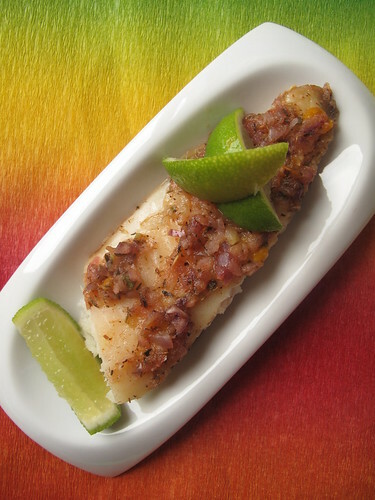 Contemporary – use a traditional recipe and make it Nuevo Latino (contemporize it). Algo Nuevo (something new) – create something totally ‘your own’ by using the flavors and techniques of the destination. 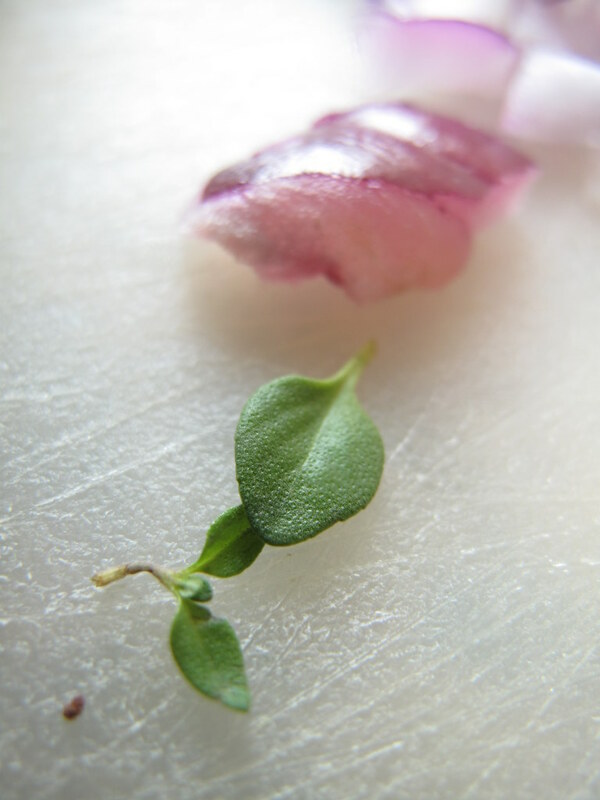 Published Chef – follow the recipe of a published chef/author specializing in that cuisine. Now, the theories of what ‘Jerk’ means are numerous. Some say it is a variation on the word charqui, a Spanish term for jerked or dried meat, which eventually became jerky in English. Another possible origin links it to the act of jerking strips of meat from an animal carcass, since whole hogs were originally used in the process. 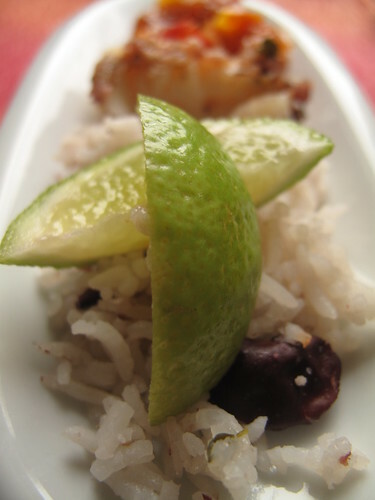 On this note, there is another slight variation to this definition: during grilling, the meat or seafood is turned over and over again (jerked over and over again) until it is fully cooked. Generally, the key to great jerk is seasoning the meat with some jerk paste/rub and marinating it to let the flavours sink in. Obviously, the type of meat will dictate how long the marinating should last. For me, it was simple. Seafood – a quarter of an hour did it! 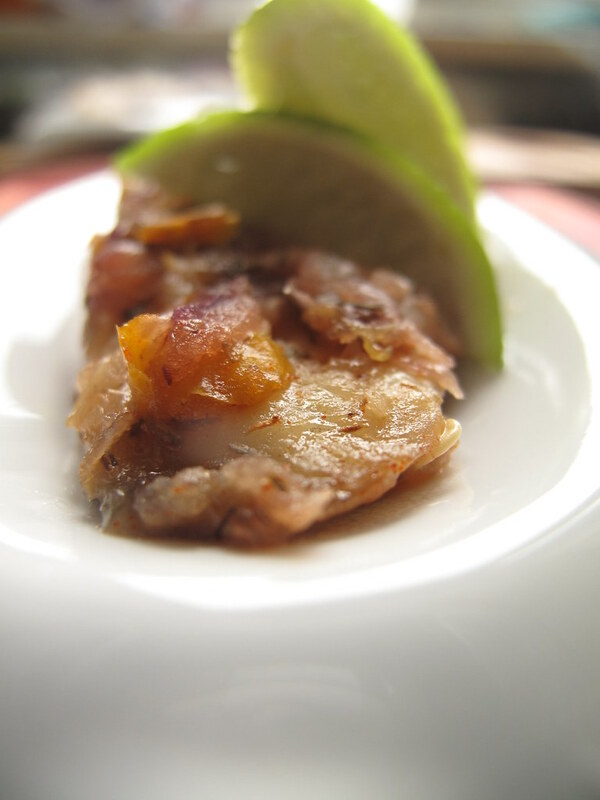 In Jamaica, the meat is then slowly cooked over an open fire pit made from allspice wood (Pimento wood) which gives the meat a natural smoky taste, though of course, home cooking dictates a regular oven. In my Nigerian kitchen in the Netherlands, I am blessed to have some Cedar wood! See, I DO NOT believe in coincidences. I am a strong believer in inter-connectedness of life and God knowing my heart’s deepest needs. See 5 years ago in Nigeria, I bought a book on making flavoured oils by Michael Chiarello. 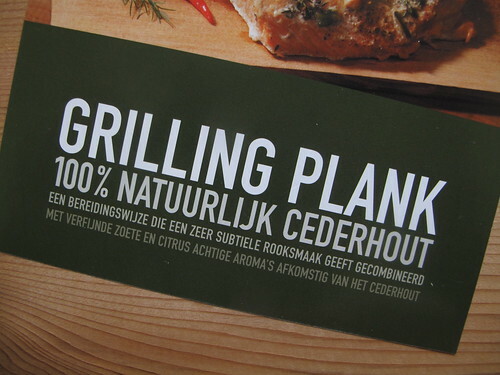 On Page 87, he has a recipe for Cedar-planked roasted salmon. I’ve kept that one…close to my heart. Never forgotten. Fast forward to 2009 and one day, I’m ill, home and off work. To nurse myself back to health, I start browsing through the book again….. and longing stirred up in my heart. I put it down, sighing for….I know, it is a hopeless cause. I’ll never find my cedarwood, except maybe at Primark! That same evening, we get our weekly ‘junkmail’ from the shops, which I scour for offers. As I flip through, my heart stops….almost dead, in its tracks. What do I see on offer? Yes. 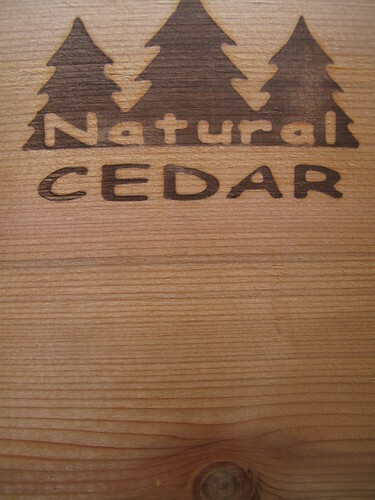 Cedar planks for sale. Needless to say, I bought 2 packs (not the same evening though, the next day) of two pieces each. And I’ve been saving them for a special occasion, having being talked out of making the exact recipe on Page 87 …as the hubby is no longer into salmon! Thank you Lord. 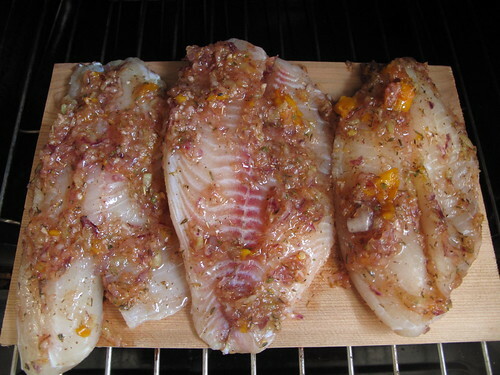 So, instead of pimento wood, I lovingly placed my tilapia fillets on this cedar plank…..and roasted it to perfection! 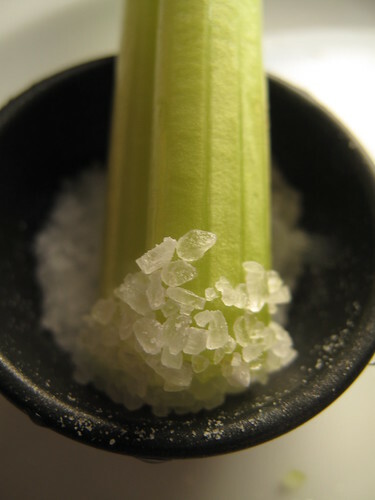 I hate Celery….mostly. 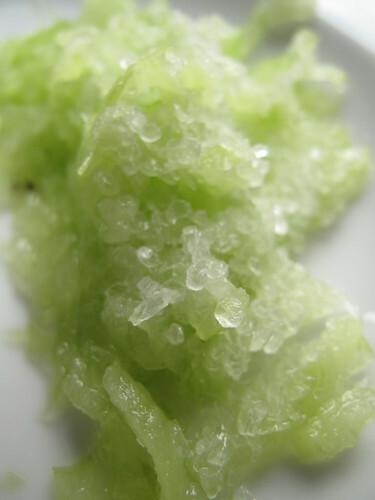 The only time I enjoy it is grated and mixed with coarse sea salt, to make fresh celery salt. Then I only sense its presence and am not put off by its taste! 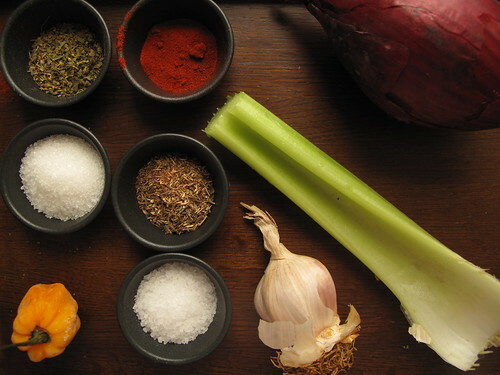 Make the jerk paste/blending by mixing all the ingredients together. 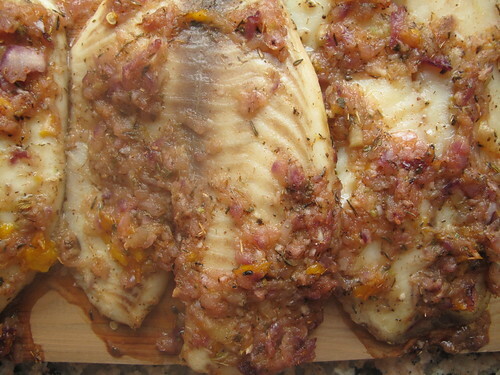 Rub this jerk paste on both sides of the fish fillets and leave to marinade for 15-20 minutes. Preheat the oven to and place on a lightly greased oven tray/cedar plank. Bake for 10 – 15 minutes. 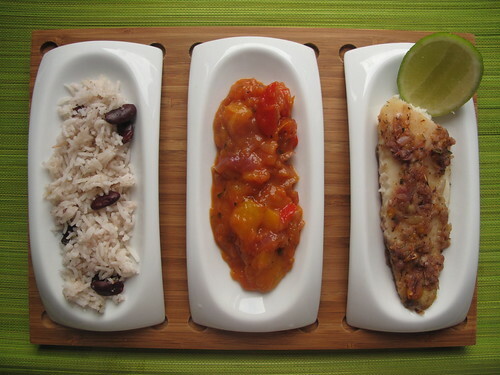 Bring out tray/plank and use that as the serving dish…… I love from oven to table meals! The fish was fantastic. Soft, tender, moist, spicy, sweet…and smoky, all the same! 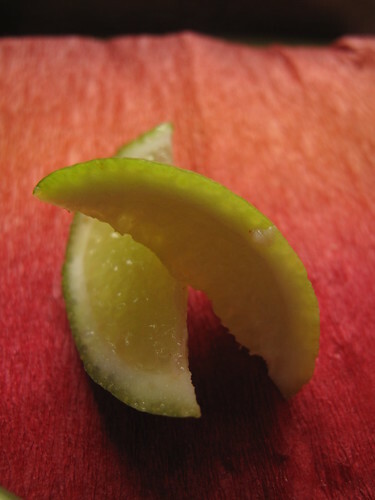 In place of the regular lemon wedge, a nice squeeze of lime freshens it up! BTW, the planks are reuseable and they formed the perfect bed for a roast chicken tonight. Tell you about it soon! We eat a lot of rice at home (in Nigeria) and I’m always in search of ways to jazz it up. 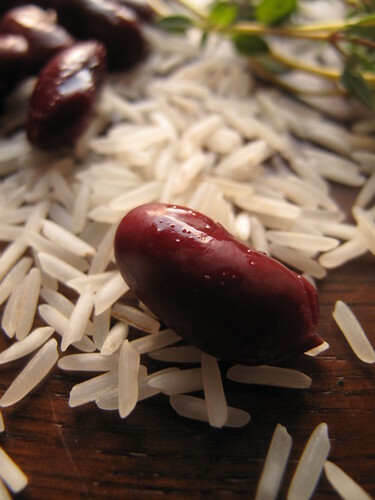 So far, my tastiest rice recipes involve…coconut milk and this recipe is no exception. 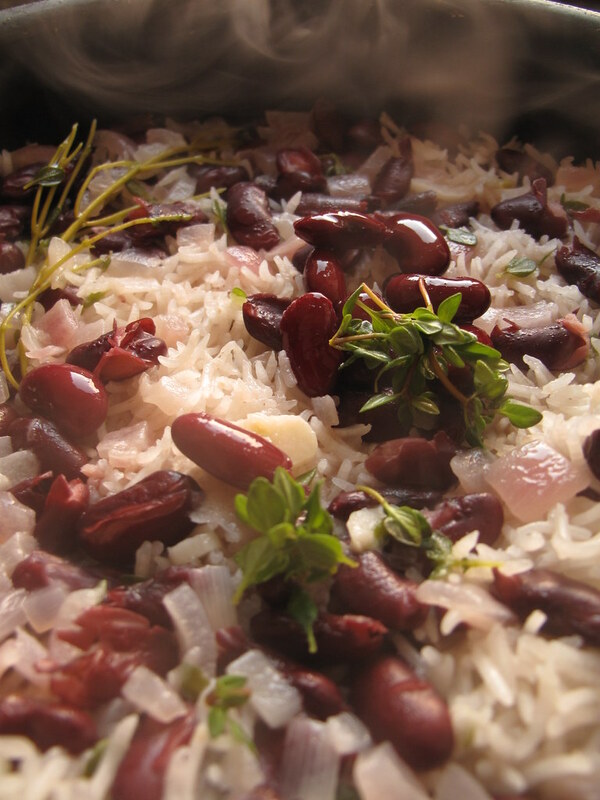 Rice, kidney beans and fragrant lemon thyme – a warming meal on any night of the week. 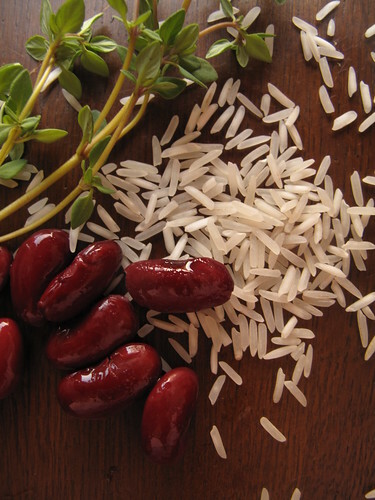 We also have rice and brown-eyed beans a lot in Nigeria, mixed together or separate. 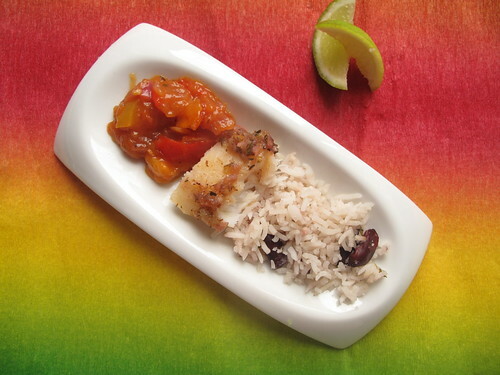 Often, we serve this with bananas or plantains. The bananas tend to cool things off, with the chilli milling about. 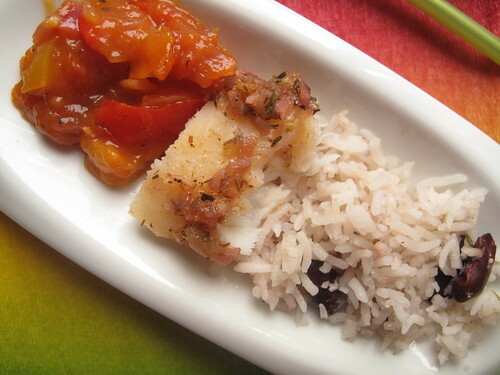 Now Jamaicans say rice n peas….where peas and beans are interchangeable! I think that this contributes a little….however small to my Ten in 10, which I’ve been working on, albeit slowly! Serves 8 – 12 ( I made loads because leftover rice in my house never goes to waste). Adjust as necessary. Put butter in a large pan on medium heat till melted. 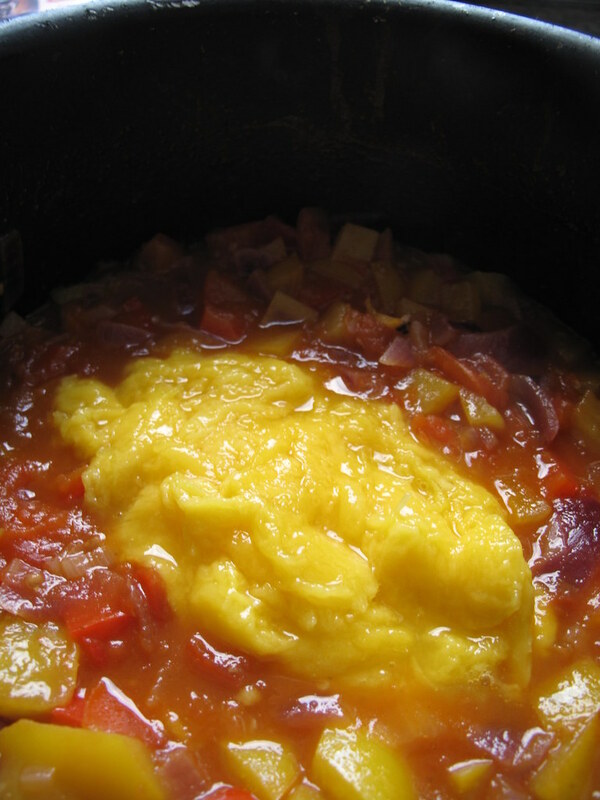 Add onions and garlic and fry till soft (3 – 5 minutes). 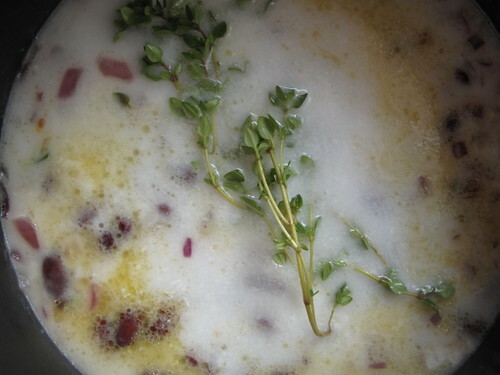 Add rinsed kidney beans to the pan, along with the coconut milk and thyme sprigs. Simmer on low heat for 10 minutes. 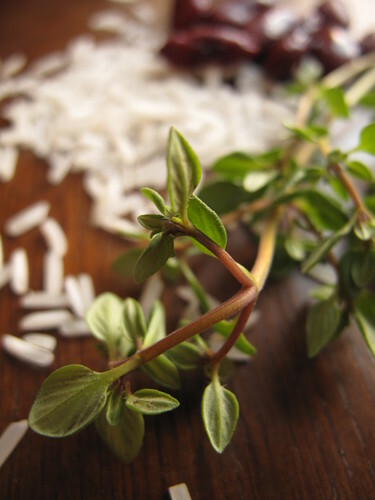 Add the rice, season with salt and let simmer with the lid on (15 – 20 minutes), till the rice is cooked. The rice was as expected. Tasty. Fragrant. Delicious. And now that we have the carbs and protein sorted, here’s a sauce to accompany both. 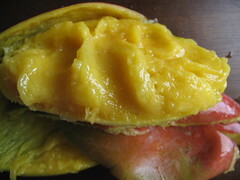 It reminds me very much of a Nigerian stew, which essentially has more or less (mango) the same ingredients! 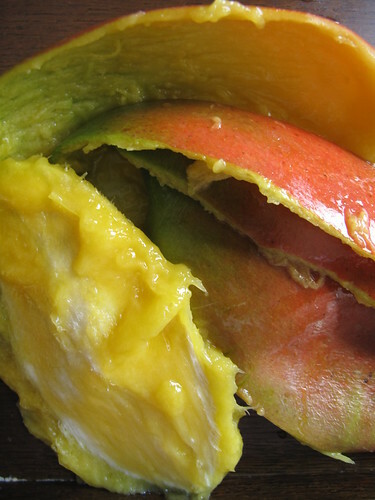 In Nigeria, fruit rarely makes its way into savoury cooking. 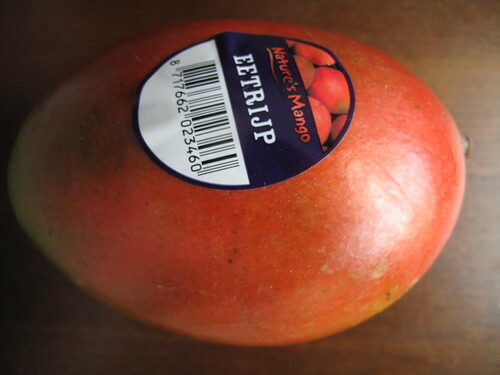 It stays fruit…. 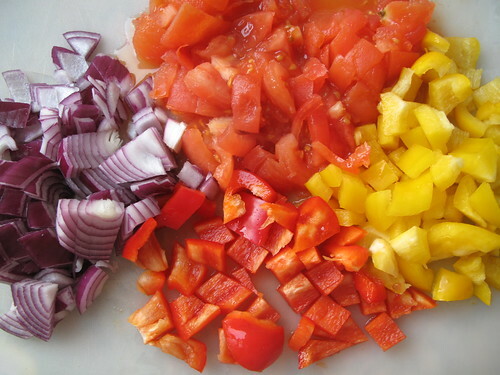 I love this sauce as it is easy to make, has a chunky texture, is full of veggies and tastes good! 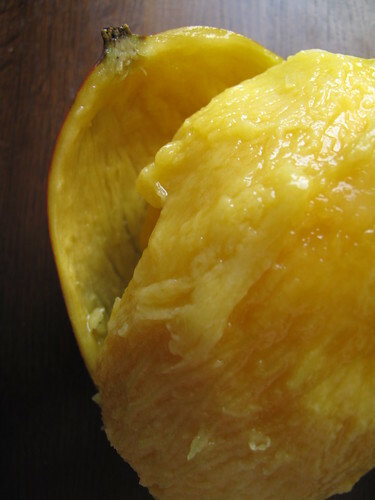 I try to mash up the flesh so as to loosen the pulp a bit but….it doesn’t reallw matter, once it gets in the sauce, it will disintegrate a bit. 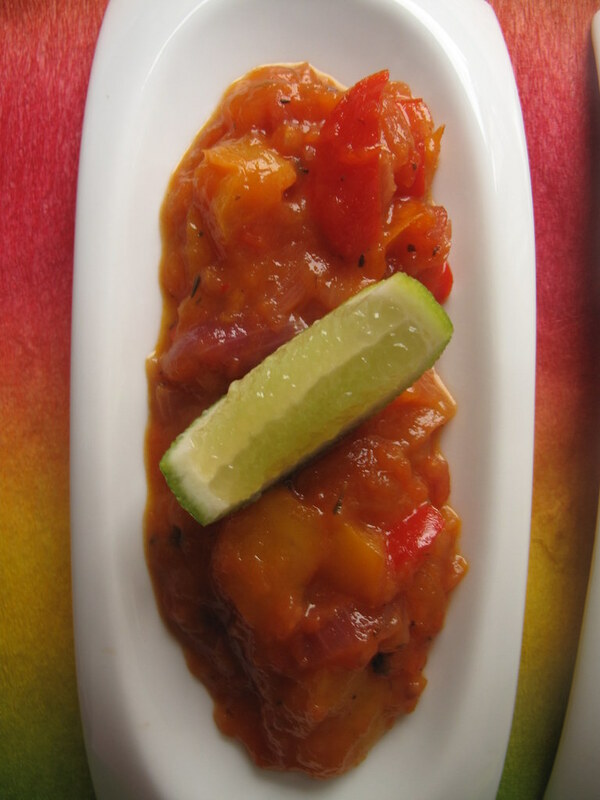 Add the mango pulp to the tomato, onion and pepper mixture and cook for yet another 5 minutes. 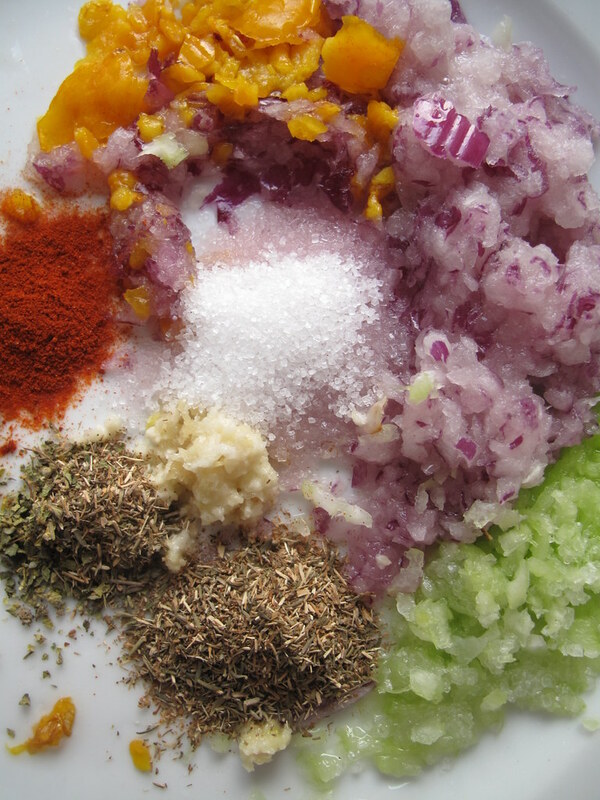 Finish off by adding the mixed herbs and a squeeze of lemon juice. Let heat through. 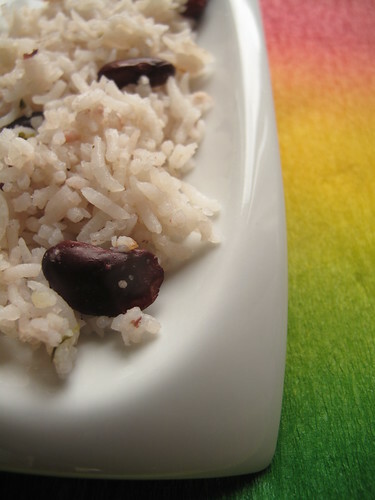 Turn off heat and serve with Jamaican rice n Peas. The overall verdict on the meal: Husband ♥d it. Note he is my true taste tester. More often than not, I cook to please him. Except when I cook to please me. Or the children. He said the only thing missing was a Coke! I enjoyed it too. The fish was incredibly tender and moist with a sweet and spicy flavour. Some describe it as a carnival of flavors that come together in your mouth. 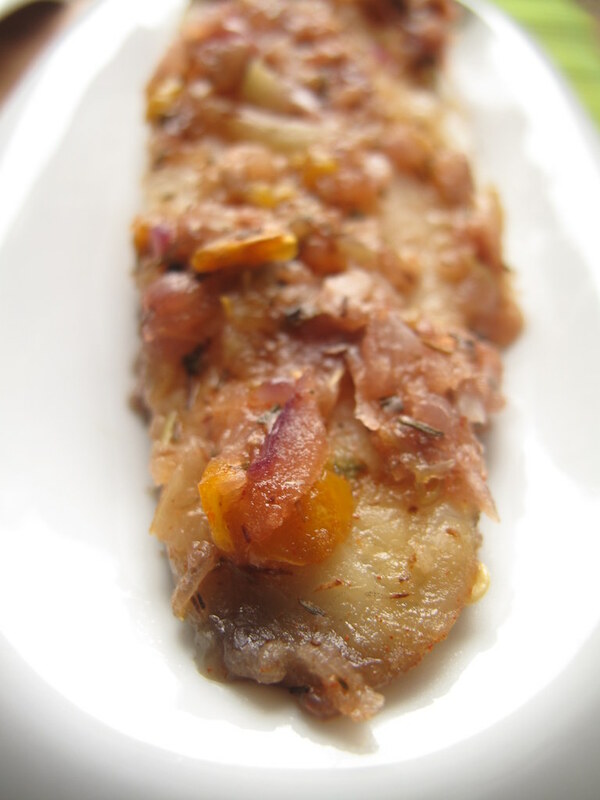 Next week, we’re in Haiti: please join me for some Tasot Cabrit, aka Fried goatmeat. January 11, Mexico: Make-up session coming soon – Hot chocolate a la Mexicana! Stay well and blessed. Lots of ♥.